A fall inspired make-ahead dessert, pumpkin pie panna cotta got an elegant twist. Let to rest in an oatmeal brown sugar crust, this panna cotta tart is a light, silky finish to your Thanksgiving meal. When I think of fall, apples and pumpkin come first to mind. Especially pumpkin pie. It’s been a family tradition to make at least one pumpkin pie when we get back home from the pumpkin patch, while hubby is showing off his Halloween pumpkin carving skills. A couple of weeks ago, more like months, while planning our annual trip to the pumpkin patch I suddenly got a pumpkin pie craving. Like I had to have some! There was just one problem. It was mid July. While I bake all summer long, baking a pie in July, a pumpkin pie just didn’t sound right. Smooth, silky panna cotta flavored with pumpkin pie spices made my hear skip a beat! I absolutely adore panna cotta. It’s like the easiest dessert to make and enjoy all summer long. Straight from the fridge. All I need is a spoon. A quick trip to the grocery store while having my fingers crossed, hoping to find some canned pumpkin and I was set. Pumpkin pie panna cotta had to come to life. Like there was no tomorrow. Panna cotta, along with Tiramisu are the most amazing desserts from the Italian cuisine. They are so easy to put together even my 3-year-old can do it. 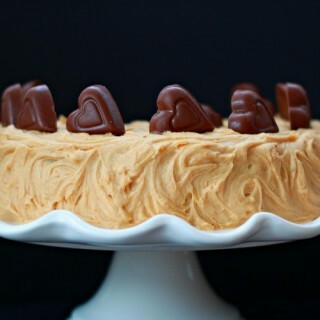 Both of them are no bake desserts and the more you let them set, the better they get. 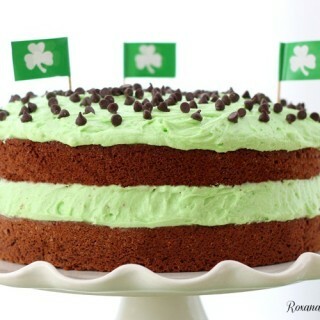 In fact, I think both these desserts should be made 2 days in advance. The idea of making a tart filled with pumpkin pie panna cotta came out of nowhere. 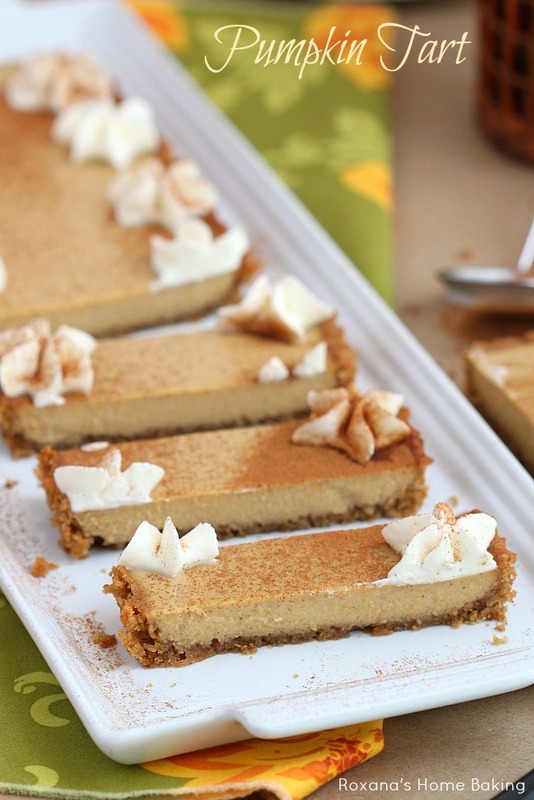 The thought of a brown sugar oatmeal crust and a silky pumpkin pie panna cotta seemed like a dreamy dessert come true. For the crust I used some ready-to-bake oatmeal refrigerated Pillsbury brown sugar oatmeal cookie dough and press it thinly on the bottom of my favorite rectangle tart pan. For the panna cotta, please use heavy cream. Although I have seen a few recipes calling for half and half, I think the few extra calories are so worth it. The panna cotta turns out silkier and it tastes so much better! 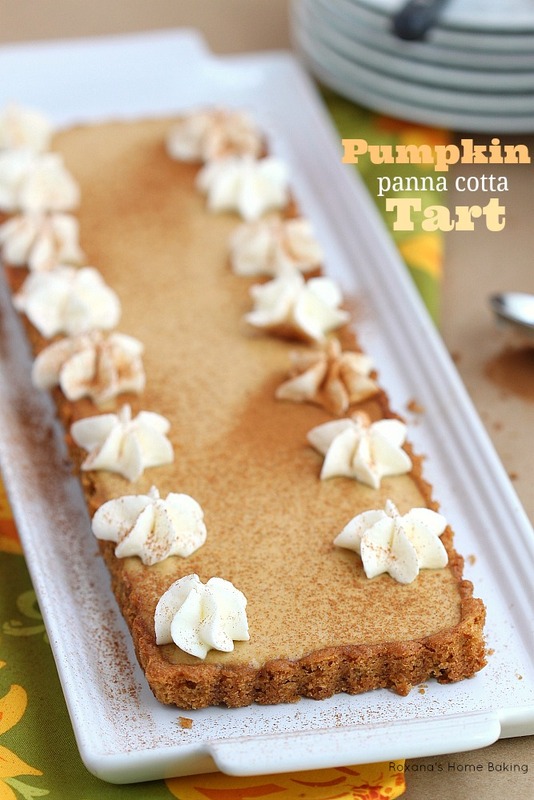 If you’re looking to switch things up a little bit this Thanksgiving, give this pumpkin pie panna cotta tart a try. You can make it instead of the traditional pumpkin pie or even better, make both of them! A fall inspired make-ahead dessert, pumpkin pie panna cotta got a elegant twist. 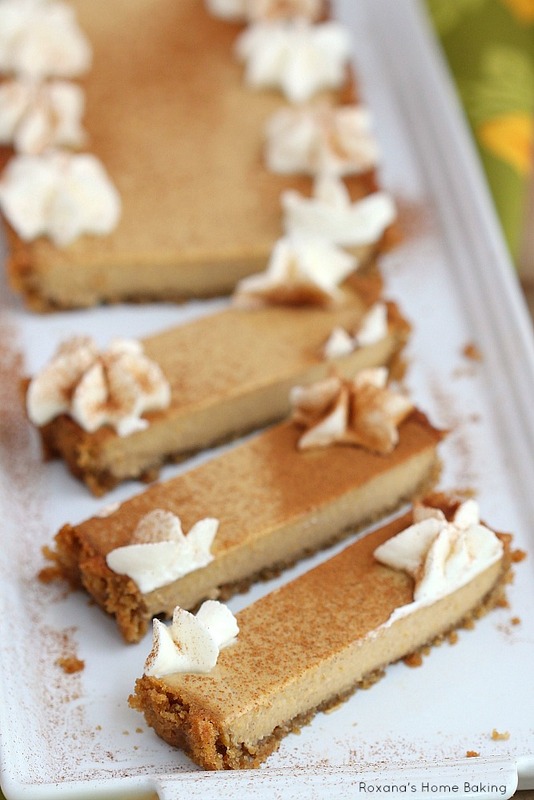 Let to rest in a oatmeal brown sugar crust, this panna cotta tart is a light, silky finish to your Thanksgiving meal. Mix the dough with the pumpkin spices and press evenly on the bottom and the sides of a 14X4 tart pan . Refrigerate for 10 minutes while the oven reaches 350F. Bake the crust for 10 minutes. It will puff a little, but no worries. Remove the tart from the oven and let cool completely. When cooled, with your fingers press against the puffed oatmeal tart crust to deflate it. In a medium size saucepan, sprinkle the gelatin over 1/4 cup milk. Let stand at room temperature for 3-5 minutes. Meanwhile prepare the pumpkin mixture. In a mixing bowl add the heavy cream, the remaining 1/2 cup milk, the pumpkin puree, the brown sugar and the pumpkin spice. Whisk to combine. Make sure there are no lumps. Pour the pumpkin mixture over the gelatin and cook, over low heat for about 5 minutes or until it reaches boiling point, stirring occasionally. Remove from the heat and pour the pumpkin pie panna cotta in the oatmeal tart crust and chill for few hours until set. Before serving, decorate with the whipping cream and/or dust a little more pumpkin spices. This sounds Devine! And pretty must try! Such a pretty autumn tart, Roxy! Love that you used pumpkin panna cotta for the filling. I love any kind of panna cotta, and tart for that matter! LOVE this recipe, girl. Thanks for sharing. Will be pinning tonight! This is beautiful! Love that you use oatmeal cookie as the crust! You are right, a pumpkin pie in July doesn't seem right. This dessert however, sounds amazing. I haven't made a panna cotta yet but the fact a 3 year can put it together means this might just move to the top of my dessert list. 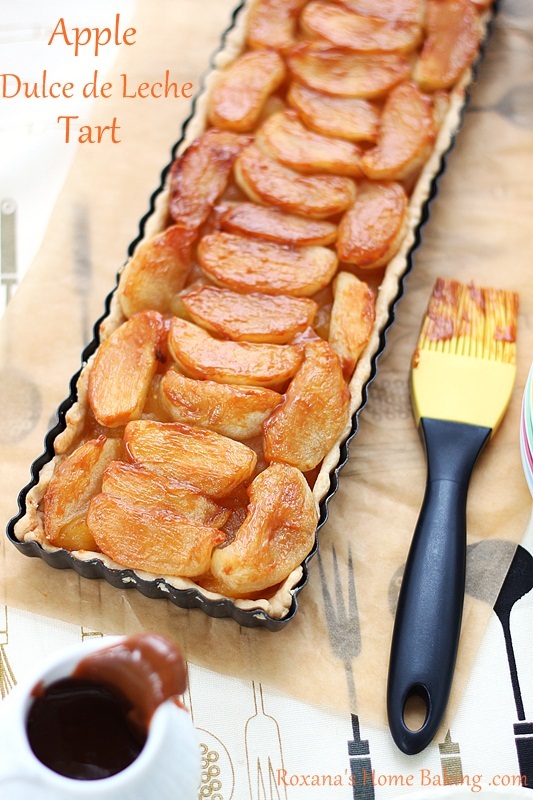 Beautiful tart, the filling looks so silky and I love the oatmeal crust! Panna cotta in a tart with pumpkin? I love everything about this Roxana! It sounds wonderful. 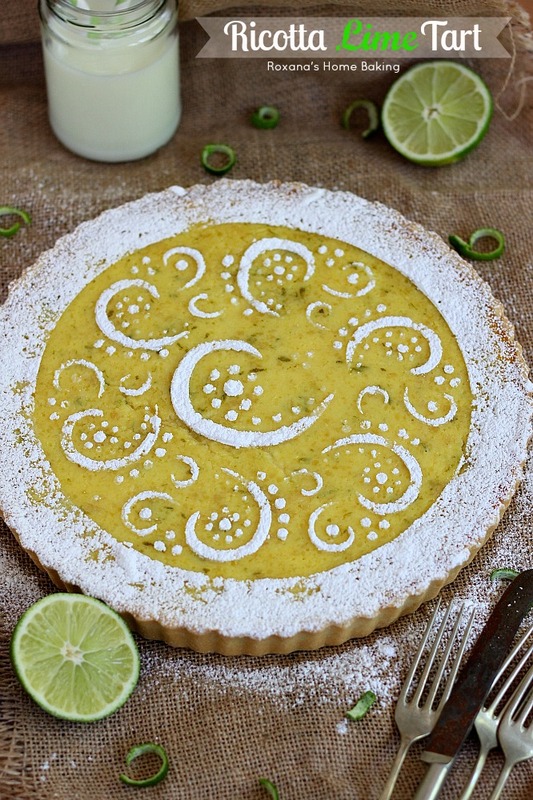 This tart is so beautiful and must be just as delicious! The oatmeal cookie crust sounds delicious. I have never had panna cotta but absolutely adore Tiramisu, seeing as you say how easy it is and great to prepare in advance I should give this one a go! they are so small and dainty! So cute. 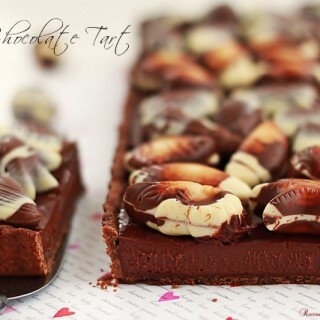 Beautiful tart as always, Roxana! Pinning! 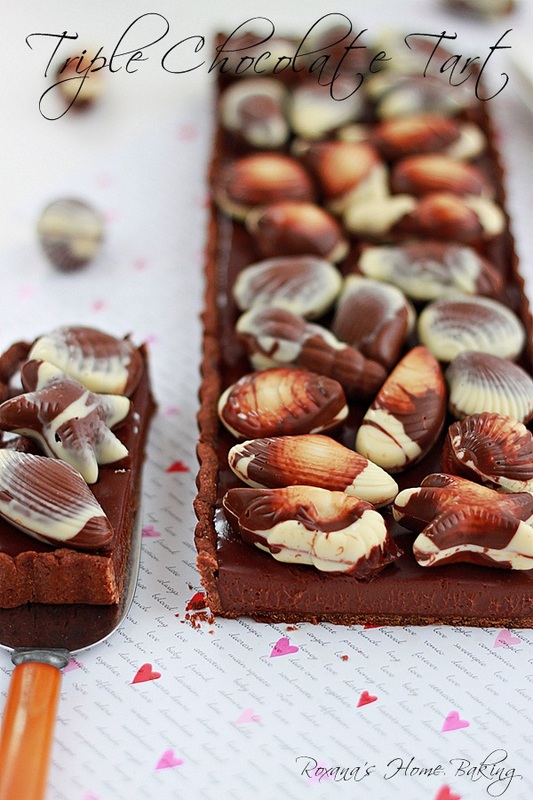 This is the most gorgeous, festive tart for fall! I love the flavor and the elegant shape of it. What a great treat! What a beautiful and elegant dessert. Panna cotta is one of my favorite desserts to order at a restaurant, but I've never made it at home. I guess I just assumed that it would be quite complicated. Glad to know that the preparation is actually pretty straightforward! Are you sure it's a 12x4 pan and not 14 x4? I can't find a 12x4 pan anywhere.